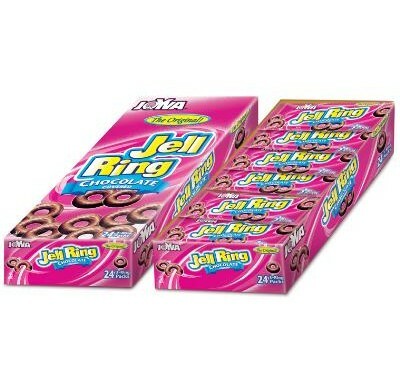 Jelly Rings Raspberry 3pk. 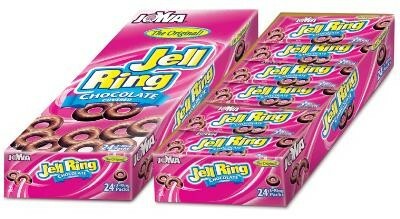 from Joyva, chocolate covered raspberry flavor jell rings in convenient individual 3 pack. Kosher Parve. Packaged candy comes 24 pieces per case.